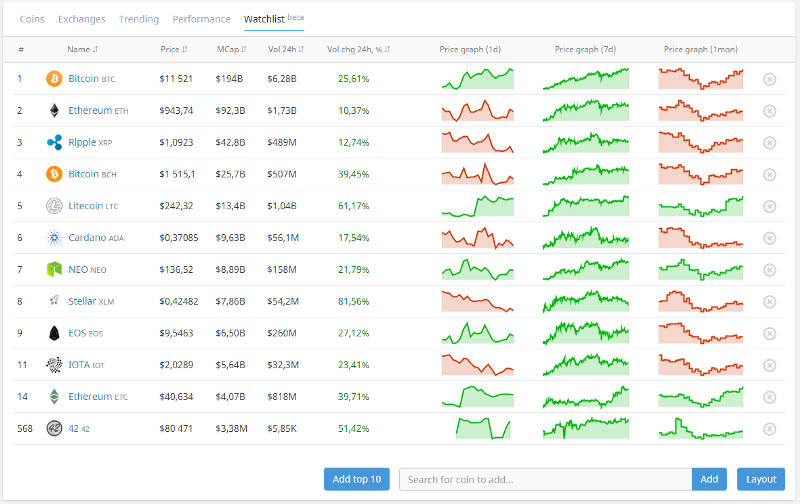 Bitgur.com is pleased to announce the launch of our realtime market data and rankings for all cryptocurrencies and digital assets. 1. Huobi - 84 markets. 2. Liqui - 174 markets. 2. Two new reports in Trendig page . Unusual trade volume and Volatility. 3. Total Markep Cap and Total Trade Volume added to main page. 4. We improved our Performance Report. Now it is the most popular report of our site. 1. 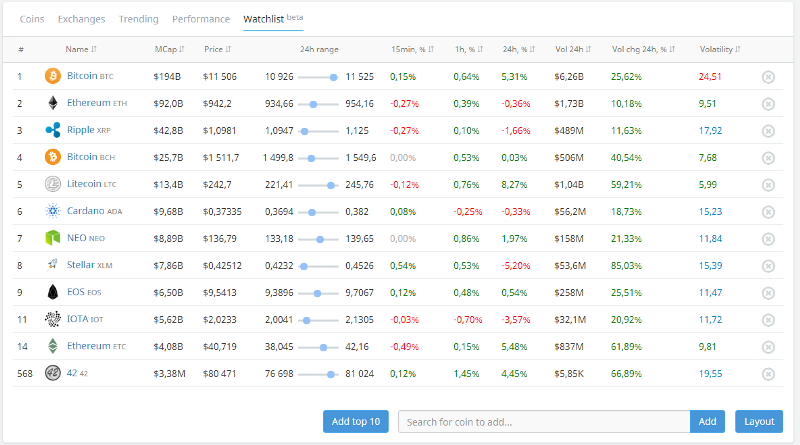 There is a new tab on the main page called “Watchlist” (WL on mobile): https://bitgur.com/watchlist where you can add your favorite currencies to watchlist. After you’re done adding just click on “Layout” button and choose indicators and charts that you want to see on the watchlist page. 2. Additionally there is a new “Star” button on the main and performance pages. 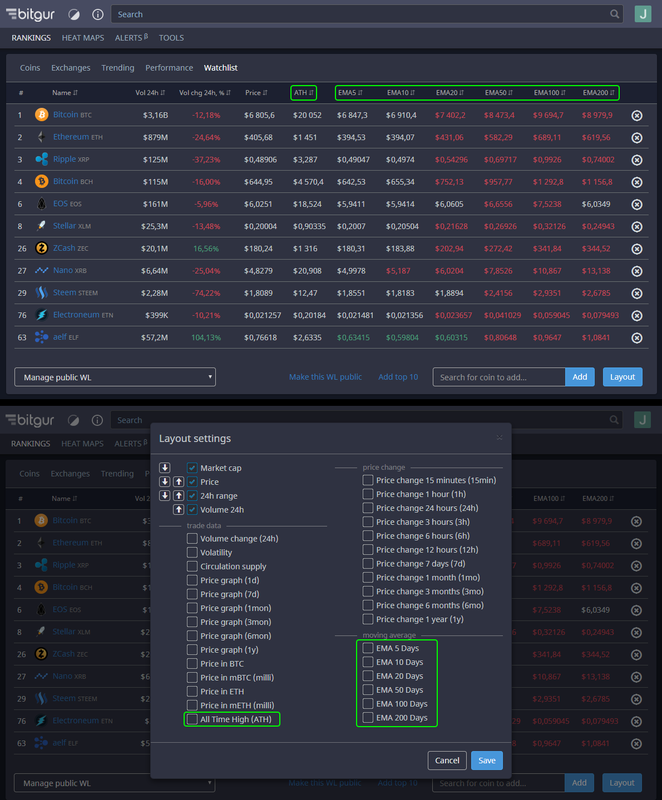 You can switch it on and then Bitgur will show you information about your favorite currencies only. 3. Watchlist and its settings are connected to your personal account. Therefore you will see the same picture on desktop, mobile phone and tablet. - We added new exchanges: CEX, COSS and WEX. - There are new indicators on Bitgur Customizable Watchlist. Now you can add ATH and moving averages. Real-Time notifications when new coins are listed on exchanges. New feature in Bitgur Alerting Service. We have added new useful feature to Bitgur Alerts. 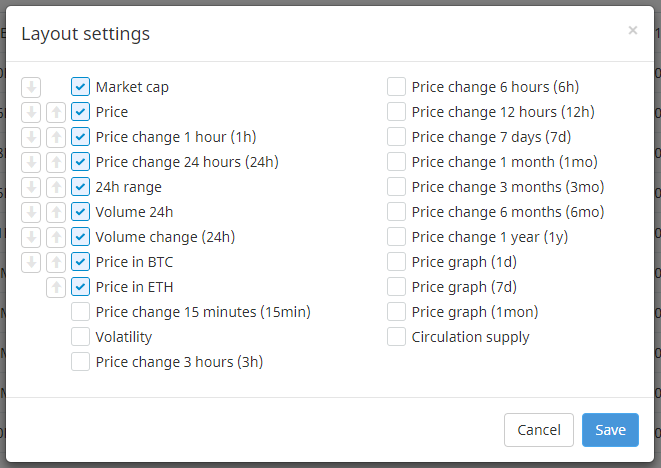 Now you can create alert, that will notify you when new coins are listed on exchanges. You will find it in “Global alerts” tab when creating a new alert. There are three delivery options (e-mail, telegram and browser push). Alerts are sent seconds after the trade begins. And it's absolutely free, unlike some popular apps.